My only experience of Rome in my 24 years is summed up in one word: rushed. Will and I stay an hour and a half west at our good friend's family home in Cassino every year and Rome, to us, has always been a flying stop en route. It's a bustling airport where we weigh up getting the train or forking out for one of the many minivan services. It's a hectic terminal where we once saw Ed Sheeran. A vast car park in which we can't find our rental vehicle at 2am. A restaurant at Termini where we ordered bruschetta that took 45 minutes to make, tasted of nothing and costed us €14 (as well as almost missing our flight) for the privilege. We knew this wasn't 'the real Rome' (that's like saying that Waterloo is London in a nutshell) so we made 2018 the year that we saw more, starting with riverside district, Trastevere. Landing at midday, the first stop was our bed and breakfast Il Boom - I've written a full review here - and the host, Angelo, suggested that we explore the ancient neighbourhood. Keen for some authentic Italian pizza (I had a serious craving! 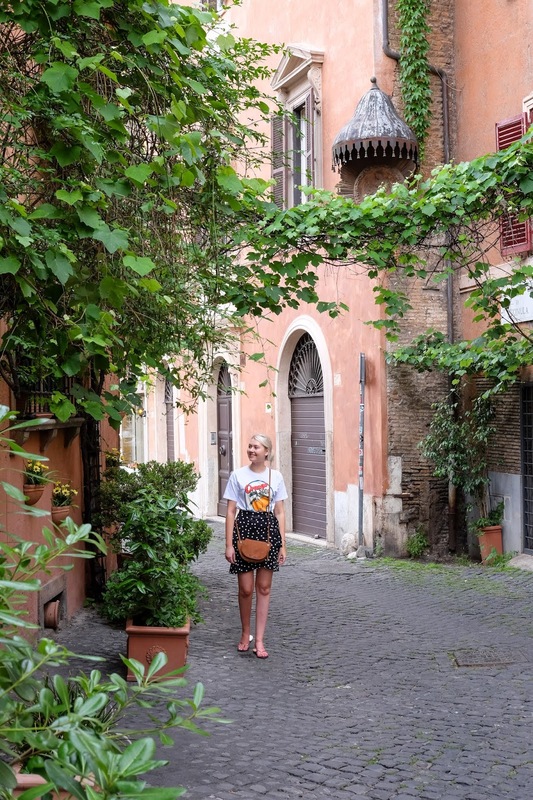 ), we set off and quickly learnt that Trastevere is the prettiest place to stroll around. With crumbling houses, cobbled streets and charm by the bucketload, it manages to feel both old and new at the same time. 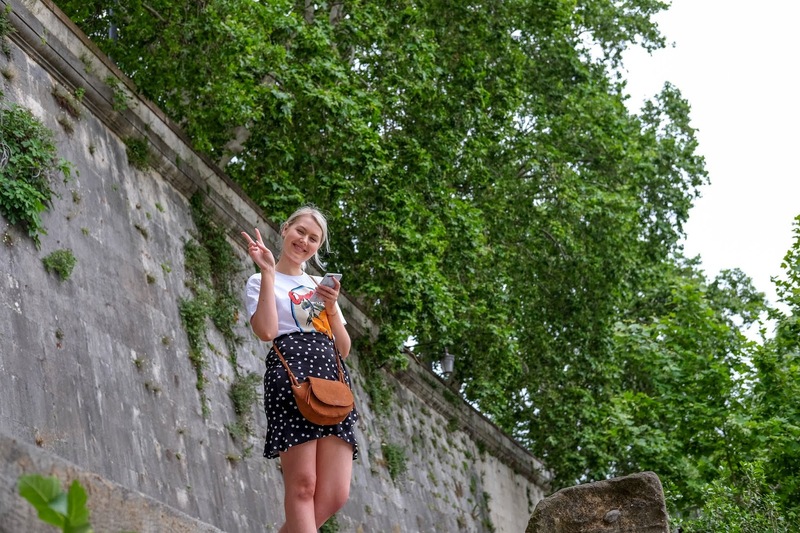 It's a perfect 'let's see where our feet take us' place, and on this occasion we ended up in popular Piazza de Santa Maria - you'll find the Basilica di Santa Maria here (one of the oldest churches in Rome with the most stunning mosaics), and the fountain is a glorious people-watching spot. The nightlife is meant to be fabulous in this spot, too! With the image of a proper pizza floating around in my head like a cartoon and making my mouth water, a late lunch was next on the list. 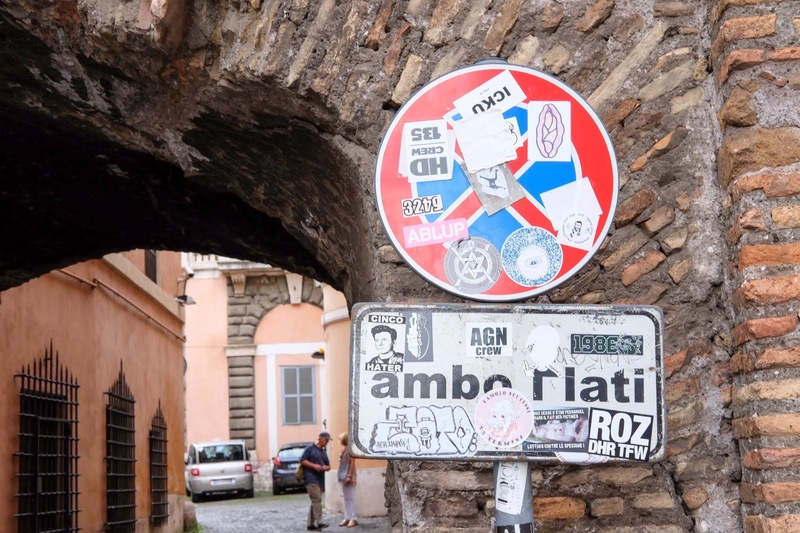 Trastevere is full of cosy trattorias (informal and casual Italian eateries with a focus on family-style cooking) so enjoy ambling around to see which ivy-covered establishment takes your fancy. 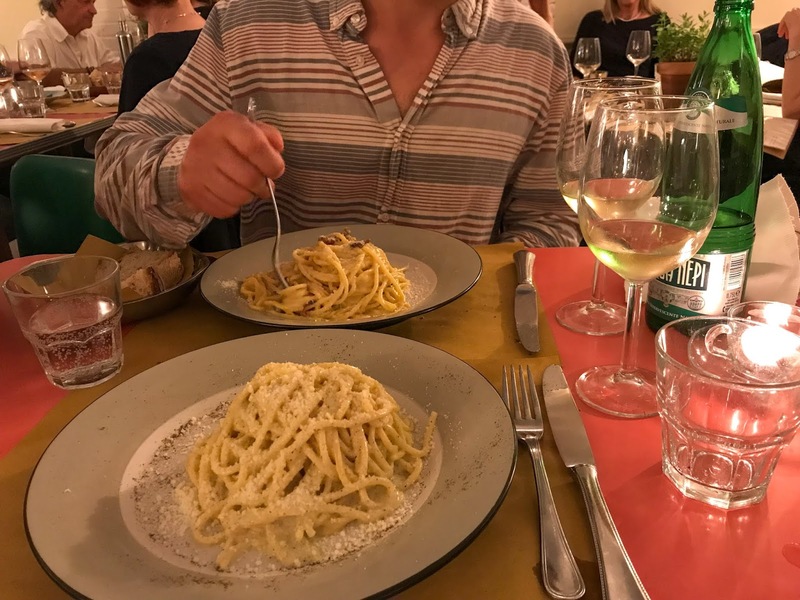 A looming dark cloud sped up our choice and we nipped into what I thought was called Popi Popi, however, my Google search to find their website has just informed me that we actually ate next door at Alle Fratte di Trastevere - less fun to say, but a very good choice all the same! Our simple but delicious order of Merlot, Peroni, olives and a classic Margherita to share was made even more enjoyable by a gorgeous table in the wide-open doors of the restaurant. It was like eating al fresco yet still being sheltered from the rain, and the staff were very friendly. 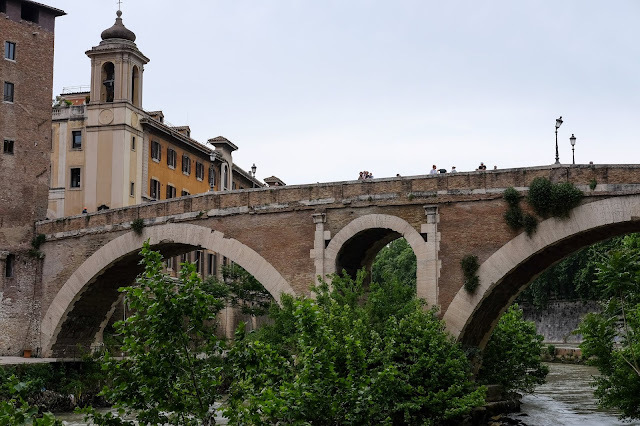 With the need for pizza satisfied, we headed to the stone footbridge Ponte Sisto over the River Tiber. Again, we saw where our feet took us with the soundtrack of various buskers playing electric guitar before heading back to our adorable base-camp of Il Boom. Angelo explained that he had a restaurant a short walk away called Meridonale, so after a glass of red and a chat about our day on the glorious roof terrace we made our way there. The exterior of Meridonale is stunning (all pretty trees adorned with lots of twinkling fairy lights! ), the interior has a huge wall of vintage coffee makers and you're given free Prosecco and nibbles when you're seated. Angelo had given us a 10% off voucher so I told the waiter we were staying at Il Boom, which received a shake of the head and a "not affiliated" so I think it was a 'lost in translation' situation. Will ordered the carbonara and I the cacio e pepe (spaghetti with cheese and pepper) - his was delicious but mine was terribly salty. 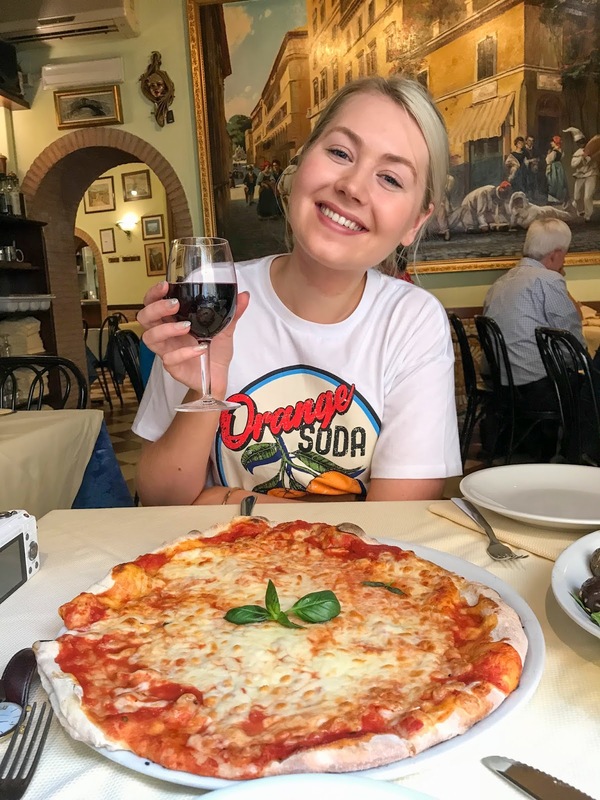 "Way too much salt" is a recurring comment on Trip Advisor, but they're very highly rated (#265 out of over 10,000 restaurants in Rome) so it's clearly loved by many. If you're a guest at Il Boom make sure you show your voucher at the beginning of the meal, we showed ours at the end and were rather rudely told that the discount wouldn't be applied - a younger waiter came over to apologise and offered us a free drink/dessert! Not quite wanting our first evening in Trastevere to end - and Will with a hankering for gelato akin to my pizza one earlier - we walked in the hopes of finding a gelateria and it didn't take long before we stumbled across one (we had coffee, obvs). 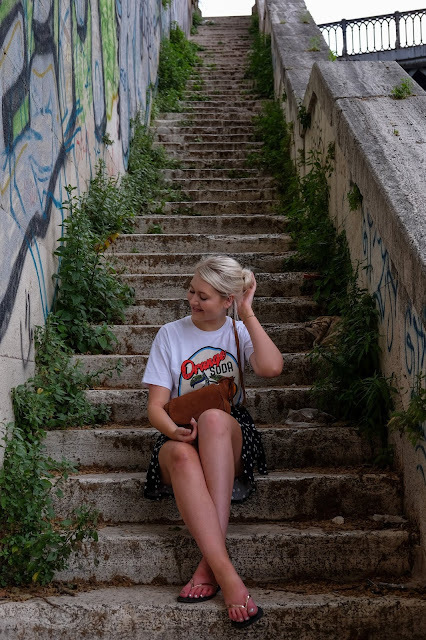 One of the most enchanting things about Trastevere is the palpable buzz - there always seems to be something 'happening' and, wanting to experience more of this atmosphere, we headed to a bar (we had Negronis, obvs) before wandering home for an episode of Atlanta in bed. Bliss.